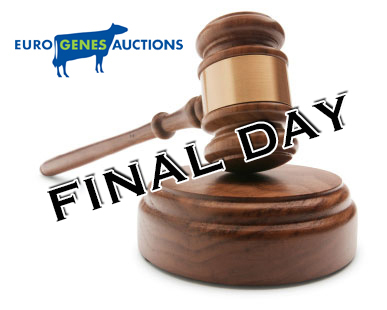 The Online Embryo Sale has almost come to her end. Today at 9:00 P.M. (Dutch-Time) the sale will close. 23 embryo packages are selling in all price ranges. There is something for everybody with Jersey, Wagyu, R&W, SHOW & GTPI embryos! 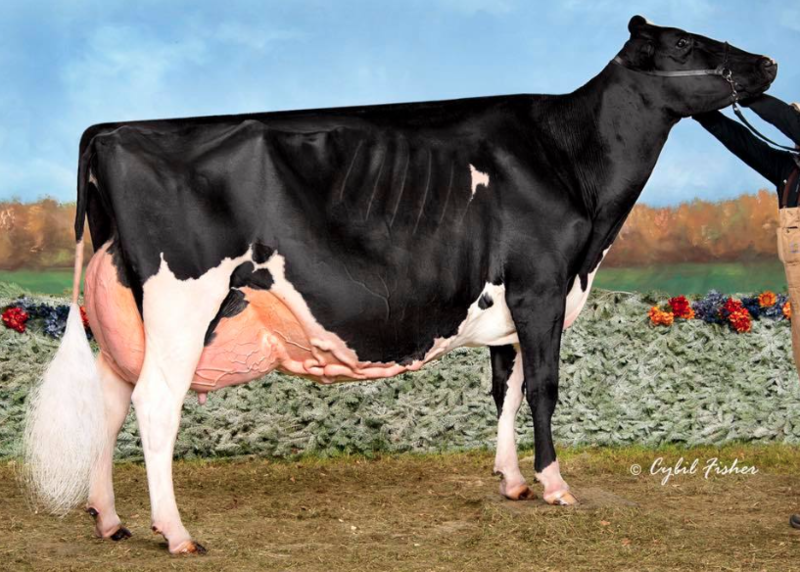 One of the finest consingments is Lot 1. embryos from Al-Lew Monterey Ashley VG-88-USA La1., the mother of the GTPI +2920 / PTAT +2.90 Aristocrat (Sold for $ 620.000)! Also embryos with PA DGV-Conformation +20, early FREE BILLY embryos (>200 lbs Fat + Protein / 1061 $ NM), embryos from the #1 RC GTPI cow in the USA, embryos from the mother of DG CHARLEY @ ABS and HERDBUILDER embryo packages starting at only EUR 150 / embryo are selling! Don't miss out this special auction. 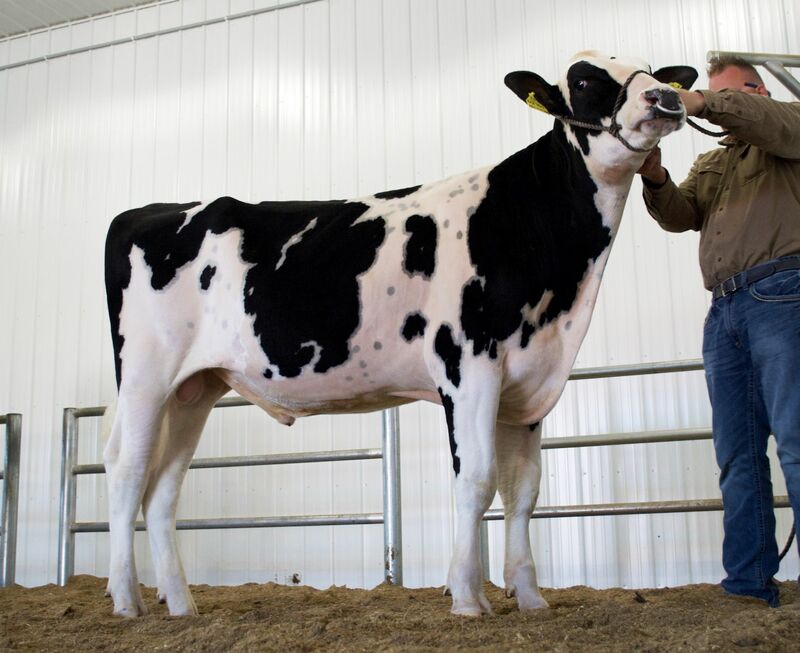 FEMALE embryos sired by T-Spruce Frazzled HUEY: +2888 gTPI & +1002 Net Merit!!! 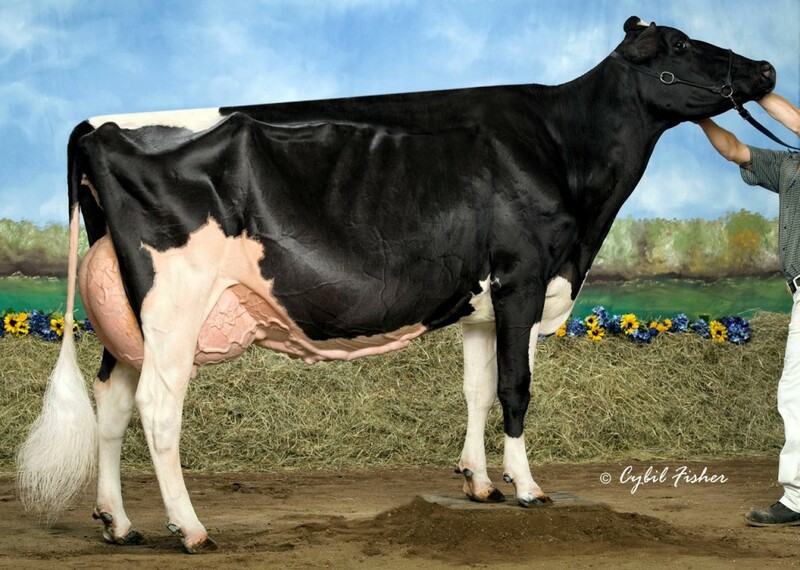 Ashley is the only cow in the breed combining: >2645 gTPI & +3.75 PTAT!! 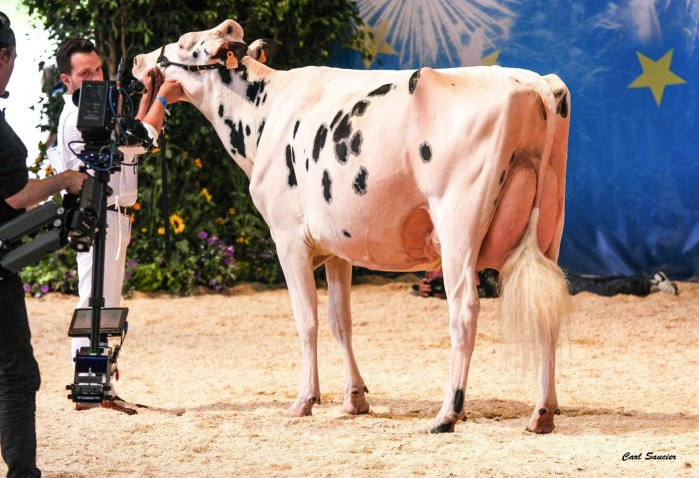 Ashley is also dam to NH DG Amazing (GTPI +2642 / PTAT +4.11), to AFLLECK (Top 10 bull Italy), to Armagadon *RC *P (GTPI +2606 / PTAT +3.77), to 2 Top 10 Charley dtrs for GTPI in Europe and more! Ashley her son NH DG ALL-IN is the only bull in the breed combining >2690 GTPI & >3.95 PTAT!! 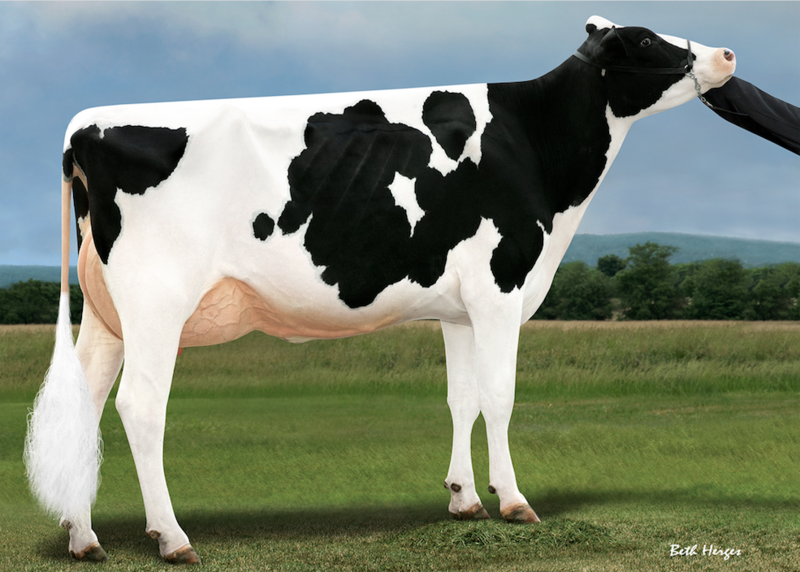 She scored VG-88-USA in her first lactation with EXCELLENT Feed and Legs and EXCELLENT rump! From the incredible Durham Annabell cow family with 8 generations EXCELLENT dams! PA PTAT +4.04 PA DGV Conformation: +20!!! +18 UDDERS!!! 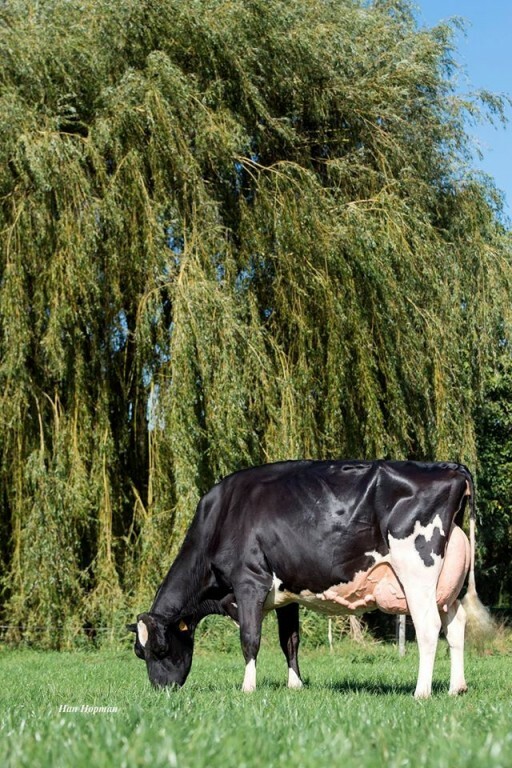 Exclusive FEMALE CRUSHABUL (PTAT +4.19) embryos from incredible member of the KATRYSHA'S! The FIRST Bungalow embryos to sell: GTPI +2917!!! BUNGALOW: +1502M +0.11%F +0.09%P +71P / +4.1 DPR / +2.08 PTAT / +2.23 UDC!!! FEMALE Col DG CRUSHTIME (PTAT +4.01 / DGV-Conf. +22) straight out of EMERAUDE!!!! DGV: MS +20 / F&L +13 / DS +16 / R +4 / CONFORMATION +22!! !